“Then [there] will appear in heaven the sign of the Son of Man, and then all the tribes of the earth will mourn, and the will see the Son of Man coming on the clouds of heaven with power and great glory.” Jesus spoke these words on the road to Jerusalem, and hence they have been the source of great anticipation and great apprehension for almost two thousand years. Jesus spoke to His disciples about an impending moment of time, a moment impending still. Most who read this text can detect the tension, the glorious and awful day of the Son of Man’s return. We read this text confident with the knowledge that, “Heaven and earth may pass away, but (His) words will not pass away.” The day is coming when; the trumpet shall sound, the elect shall be gathered, the wicked cast aside and the kingdom of God will endure forever more. Then what? You might ask. What is next? What of the wicked? Shall the wicked endure in punishment as the righteous in delight? Can God’s kingdom, where the corruptible has become incorruptible, exist? With the wicked present, suffering torment in light of God’s justice? From the first Easter on these questions persist. Christ’s resurrection and subsequent appearances to His disciples and community secure our faith’s belief in the like-resurrection awaiting the righteous; this belief is fundamental to that faith. His resurrection serves as a first-fruit of the promise, that for the saints, there is victory in death; “victory through our Lord Jesus Christ.” Death’s sting shall not be removed for all however, for some will be raised not to inherit the kingdom, but to reap eternal punishment. Our aim will be to address what shape that eternal punishment will take. This view can be described as the orthodox position or traditional position within the church. Throughout the history of the Church, many diverse individuals have found common ground on the profession that “the wicked will suffer the pains of hell forever.” “It is an almost invincible presumption that the Bible does teach the unending punishment of the finally impenitent, that all Christian churches have so understood it.” To dissect this position let us take it word for word. Eternal: This means that the wicked that are cursed by God and have rejected His grace shall face punishment forever. Jesus himself foretold that He shall declare to the wicked on the Day of Judgment: “depart from me in to the eternal fire…” and to the condemned He shall say, “…go away into eternal punishment.” This is furthermore declared in book of Christ’s Revelation, “and the smoke of their torment goes up forever and ever; and they have no rest day or night…” The torment that awaits the wicked shall not end but shall endure eternally. Conscious: The conscious in Eternal Conscious Punishment denote that those who exist in torment and punishment forever will be cognizant of the punishment they receive and shall react with all the attributes of consciousness. In the previous passages mentioned, when Christ addresses the Day of Judgment, those who are cast into the outer darkness shall, “weep and gnash their teeth.” This is powerful imagery in that when one gnashes teeth it is in response to the infliction of pain. There are no unconscious individuals who weep, none who knowingly gnash their teeth. Punishment: For those who hold the belief that the wicked shall suffer Hell eternally and consciously also believe that there shall be punishment. Indeed just as “no eye has seen, nor ear heard… what things God has prepared for those who love him,” so too what has he prepared for those for do not love him. 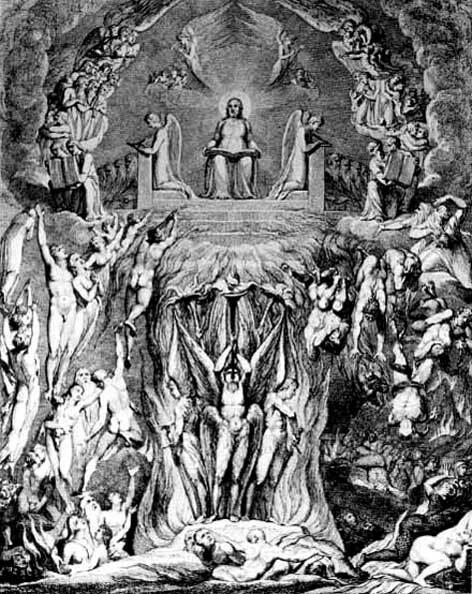 “Hell is torment beyond comparison, the outcome of marvels, wrought by the greatest marvels of divine omnipotence, torment beyond any we could conceive.” These are strong words and powerful images, not the substance of joyous thought. Those who cannot bear the thought of any suffering in such a manner, for such a time, have sought different interpretations of the same texts sighted. Their conclusions hold that the future which awaits the damned is just as permanent but far different in experience than the one listed above. I support the position of eternal conscious punishment; and I shall briefly outline the justification for said support. My argument is really two-fold: one that ECP represents the majority and orthodox position and this fact is by no means incidental. Two, I believe that ECP belies a consistency both biblically and theologically, which has accounted for its support throughout the development of Christianity and Christian Doctrine. The adoption of ECP as the orthodox view within Christianity was not an arbitrary choice. Its support is first detected within the proclamations of Christ which lie at the very heart of the Faith. Throughout the gospels Jesus proclaims the fate of those who fail to heed the call to follow Him. Matthew 25:30, 41, 46 all speak to the “weeping and gnashing of teeth”, in the “eternal fire” for the purpose of “eternal punishment.” Jesus affirms in Mark chapter 9 that the same fire is “never quenched.” We see in Luke 16 He tells of the rich man and Lazarus, and the torment of the rich man. Jesus first raises the dichotomy of eternal reward mirrored by eternal punishment. “Matthew, as D.A. Carson notes, ‘uses the adjective aionios… only for what is eternal.’ The punishment that the lost suffer in hell is parallel to the bliss that the righteous enjoy on the new earth.” Like ripples in a pond Jesus’ testimony of future eternal punishment was adopted and perpetuated the apostles. The apostles expanded and added interpretation to the gospels’ record of Jesus’ teachings. While the word hell is not mentioned in Paul’s writings there can be no doubt that from Romans to 2 Thessalonians, Paul proclaims that God’s judgment awaits the wicked. The author of Hebrews considers eternal judgment to be a “foundational elementary teaching.” James, Peter, Jude and John, in their letters, all allude to coming torment for the wicked apart from Christ. The pinnacle of this commentary comes in apocalyptic narrative form in John’s Revelation of Christ. We have mentioned some of the passages previously, suffice it to say, Revelation chapter 20 stands as a vivid picture “emphasizing that hell is just [and eternal] punishment for the wicked.” As the church developed and strengthened, so too did the affirmations of this doctrine by the early church fathers. By the late second century the theologian Tertullian arguing against the Gnostic heresy and the denial of physical resurrection argued that the enduring punishment in view is akin to “never-ending killing” the continual conscious penalty for those who die in sin. Tertullian led to Augustine in AD 400; Augustine to the Council of Constantinople in AD 553; from Constantinople to Aquinas in AD 1270; on through to Luther and the Reformation in AD 1553. In fact, “from Augustine to the Reformation, only the ninth century Irishman, John Scotus Erigena, positively denied an eternal, or even material hell.” ECP, as a doctrine of the church, maintained almost unparalleled loyalty throughout the churches history, this loyalty springs from its consistency with biblical theology. Peterson, Robert A. The Dark Side of Eternity: Hell as Eternal Conscious Punishment. From the Christian Research Journal Issue 30-04. Beale, Christopher W. contr. Hell Under Fire: Modern Scholarship Reinvents Eternal Punishment. (Grand Rapids, MI. Zondervan Pub. 2004.) 139. Peterson, Robert A. contr. Two Views of Hell: A Biblical and Theological Dialogue. (Downers Grove, IL. IVP, 2000.) 119. Constantinople declared that “whoever says or thinks that the punishment of demons and the wicked will not be eternal, that it will have an end… let him be anathema.” Johnson, Paul. A History of Christianity. (New York, NY. Simon and Schuster, 1976) 340. Peterson, Robert A. The Dark Side of Eternity: Hell as Eternal Conscious Punishment. From the Christian Research Journal Issue 30-04. Indeed Peterson goes on to list 11 prominent figures from Christianity History who subscribe to this doctrine; among the 11 listed we find: Tertullian, Augustine, Aquinas, Luther, Calvin, Edwards, Wesley, and Millard Erickson. Hodge, Charles. Systematic Theology, vol. 3 (USA, Hendrickson Pub. Inc. 1999.) 870. Hodge also attests that the broad reception of this view among the church is due to more that simply church authority in protecting doctrine, “it was universally received before the external church had aggregated to itself the right to dictate to the people…what they must believe.” The churches teaching on this was not upset or challenged by the reformation rather the reformation continued and affirmed the doctrine of ECP. Matthew 25:30 (emphasis mine), and Matthew 25:41 respectively. The most chilling account of this conscious torment is found in Luke 16:19-31. Here Jesus tells the story of the rich man and the poor man Lazarus; both die and head into eternity, the rich man to Hades and Lazarus to Heaven. The Rich man Begs Abraham to dip the tip of his finger in water to quench the burning of his tongue, and even to send Lazarus back so that the rich man’s brothers might be warned. Both requests end in denial and the realization that such torment is irreversible and permanent. Winklhofer, Alois. The Coming of His Kingdom: A Theology of Last Things. (New York, NY. Herder and Herder. 1966.) 86.